i have surfed alot of the lost boards but not this 1. the firewire is a great board also so i cant imagen what it would be like. 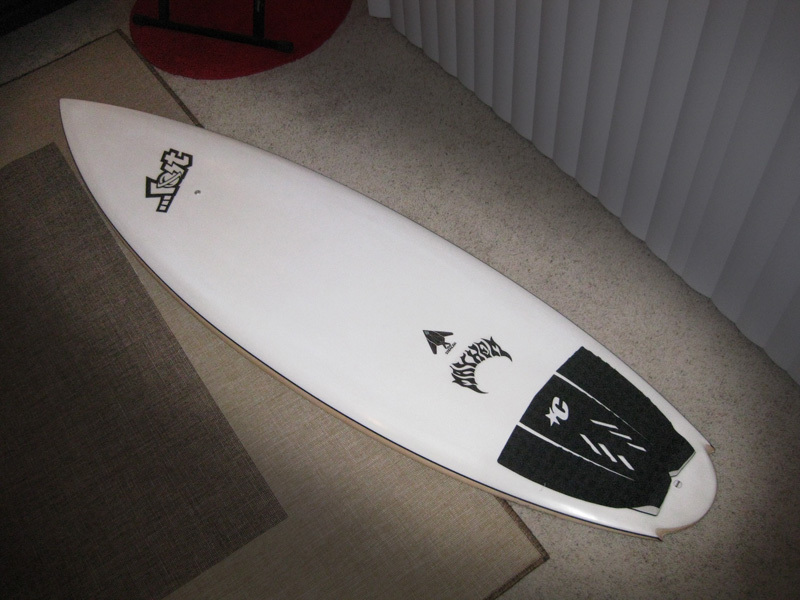 where did u get this board i have been lookin for 1 for a while but just cant find 1 ? These boards are pretty common here in San Diego. I sold this one to a friend and I just ordered a Rapidfire version of it from a shop in Carlsbad called Carlsbad Pipelines. Great guys to deal with. I recommend them. Great review. How’d the Rapidfire version compare vs the FST version? Also, what length did you end up with? How’d you find it in hollow surf? Any other observations you’d like to share? You know, it’s hard to say really. I prefer the feel of the Rapidfire model more – but marginally. The FST version is supposed to be more durable, but my RF board was in perfect condition still after many sessions. If I were to buy again, I’d go for the RF version given it’s cheaper, I like the looks and it performs just as well as the FST. I’ve even kited on some of my Rapidfire boards and they’ve held up really well. Hi! It seems an unbiased review which is useful. Do you think the FST is strong enough to skip the traction pad? Yeah, you’ll get a bunch of little dimples on the deck instead of a caved-in deck. If you are the type that gives boards “tail cancer” I’d still use a pad. But, that’s me, cause I always use pads.